Hope seems lost as the people of Qatif and Al-Ahsa are consistently denied their basic civil, political, social and economic rights. To give perspective, in the city of Riyadh individuals are not subjected to targeting/profiling, human rights violations, or violence from authorities; they are free to live “normal”, peaceful lives. Within Saudi Arabia, the act itself of seeking one’s rights puts the individual at risk of the Saudi authorities; in relation, further rights violations often are enacted. Arrests and detentions are based on fabricated accusations meant to convict the detainee and garner severe penalties. Such allegations of “crimes” rarely do garner the desired cruel conviction. An example is presented when the Saudi authorities seek out individuals who tweet/post social justice rhetoric or share images of those murdered by the Saudi authorities during peaceful protests; popular images to share document peaceful protests that occured in Qatif from 2011 to 2016 when the citizens sought their basic human rights, which are guaranteed under international laws, and many were murdered by the Saudi authorities. The continuation of using false accusations against human rights activists and actively criminalizing the seeking of human rights is cruel. As of September 2018, the Saudi authorities have detained six activists; they are awaiting trial. The prosecutors are seeking the death penalty for five of the six; for the other, up to 20 years in prison. The Saudi prosecutors actively punishes freedom of opinion and freedom of expression punishing them with death penalty; they have criminalized the peaceful movements, suppressed the protestors with firearms, hounded participants with machine gun equipped armored vehicles, and used military vehicles in residential neighborhoods. With such harsh retaliatory measures used against peaceful protests, any acts meant to demand basic human rights are viewed as acts of bravery. Many allegations have arisen against the Saudi authorities regarding their actions during the peaceful protests. During the first two years of protests in Qatif, the authorities claimed they did not use bullets to deter the protestors and did not kill any civilians. However, these allegations are proven false; several have been murdered by the authorities via shootings. Sources revealed that the indictments filed by the Saudi Public Prosecution against the six detainees contained statements made by the authorities admitting they shot dead the demonstrators who participated in the peaceful protests of Qatif in 2011. The statements made by the Saudi prosecution implied that the death of Qatif’s activists were by security forces bullets, while previously they claimed that the activists and demonstrators were killed by “unknown sources” which they described as “stealthy”; they also claimed that the bullets were fired from said “unknown source”. The activists’ funerals had been held with attendees cautious of their own safety. In fact, the six detainees were charged for attending the activists’ funerals. Reliable sources have informed Miraat Aljazeera regarding the charges made against the six detainees and the sought punishments. Ahmed Al-Matroud (39) is one of the detainees. He was arrested September 9, 2015 in the Bahrain International Airport before his flight to Iran. Prosecutors claimed he was acting against the country’s (Saudi Arabia) securities interest by traveling to Iran, which the Saudi government views as an enemy. (The Saudi government enacted punishments for any of their citizens who travel to Iran regardless of their travel was performed legally and via international airports.) Al-Matroud was also convicted of participating in peaceful protests in Qatif; he’s accused of being a coordinator and an organizer of other demonstrations events meant to demand human, civil, and political rights (which are, as noted, international rights). The source further explained that Al-Matroud was punished for assisting in the publication of two pages on Facebook; the pages focused on posting the activities of the movement and documenting the peaceful gatherings. 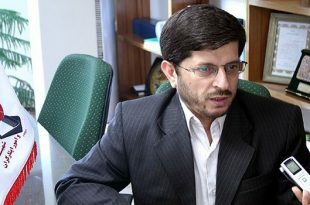 The prosecutors and Attorney of General further claimed that Mr. Al-Matroud received training from Iran on how to achieve the their demands of which had been labeled a “soft revolution”. 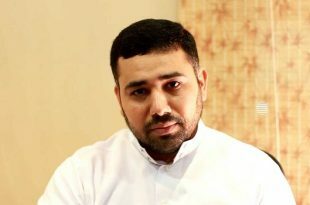 He is also accused of being affiliated with several other activists: Khaled al-Ghanem, Musa al-Hashem, and Ali Oweishir, as well as activists outside of Saudi Arabia, of which allegedly formed a political party called “Coalition of Freedom and Justice” that claimed to have been active in the city of Qatif. The punishment sought for this is death by beheading. Ali Oweishir (42) is also one of the detainees. He was arrested at the King Fahd International airport in Dammam on September 13, 2015 while traveling to Iran. Oweishir accused of “electronic incitement” in Qatif; his relation with the detainee Ahmed Al-Matarud was also used against him. Oweishir is being charged for his participation in the peaceful demonstrations and gatherings in Qatif. 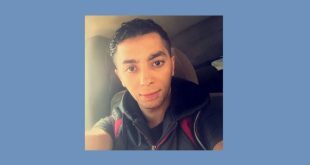 As with Al-Matarud, Oweishir is accused of receiving training on demonstration organizing and proper techniques for preparing and documenting reports, including photos regarding incidents in Qatif, which were shared in Facebook. The Attorney of General is a accusing Oweishir of receiving funds from Saudi enemies meant to further support domestic protests. 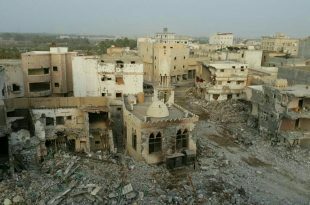 Oweishir had attended the funerals of those murdered by the authorities in Qatif, and was charged as such; specifically, he was charged for “attending the funerals of those who perished during clashes with the police in the riots”. Several individuals listed by the authorities as having perished in the demonstrations were: Nasser al-Mahishi, Ali Qureis, Ali Al-filfl, and Munib al-Adnan. They had been seeking their basic human rights. Procuring and publishing photos of funerals and peaceful protests on a digital device is considered a crime by the Saudi authorities. Oweishir’s convictions were based on such notions and as such the death penalty has been sought. Mousa Alhashim (29) and his wife Esra al-Alghamgam (29) were arrested on December 8, 2015. The source indicated that the Public Prosecution convicted them of allegedly receiving training from Iranian forces, accused of accompanying Oweishir and Al-Matroud. The prosecution has condemned them for participating in peaceful protesting and for demanding their civil rights. The Saudi prosecution called for the execution of Mousa and Esra due to their activities via social media accounts. They both exposed the violations committed by the various Saudi forces and revealed the cruelty inflicted on peaceful protesters and the unwarranted arrests of random civilians. 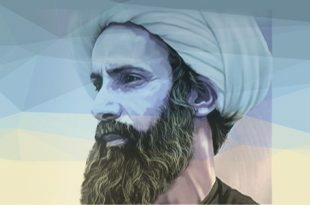 Additionally, Esra and Mousa had contributed to the planning of various peaceful protests, as act prohibited by the Saudi regime. Convictions against Alghamgam are allegedly partially due to her creation of a YouTube account through which she shared photos and videos of the Qatif demonstrations and of those killed by the authorities. The videos showcased the demands of the peaceful demonstrations and exposed the violence used by the Saudi security forces against the demonstrators. The Saudi public prosecutor condemned Alghamgam for these actions; they accused her and her husband of traveling to Iran, receiving specialized training, and meeting opponents of the Saudi regime. Another accusation against her claims she joined the aforementioned “Coalition of Freedom and Justice,” which is allegedly formed by prominent opponents abroad. Sources also indicated that during the first session of the trial of Alghamgam on August 6, 2018, the public prosecutor demanded her execution, basing on alleged actions that legally do not break any laws. They want to sentence her to death because of her actions of pursuit for human, civil and political rights, such as joining a political formation or contacting political opponents or human rights activists. Hers is not the only such case. 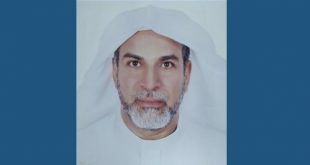 Khalid Al-Ghanim (40) was arrested on January 12, 2016; he is accused of contacting Al-Matroud, Alhashim, and Oweishir in an attempt to join the “Coalition of Freedom and Justice”; he was also detained for having traveled legally to Iran. The prosecutors accused Al-Ghanim of receiving training on how to organize and lead demonstrations (same as the other activists). He is also charged for posting pictures of the political detainees, the peaceful demonstrations, and those killed by the authorities. The prosecution concluded that Al-Ghanim was guilty and subsequently demanded the death penalty. Mujtaba Ali Al-Muzain (36), as sources stated, was convicted of allegedly communicating with the other activists. Al-Muzain was arrested on April 22, 2016. He was convicted for allegedly participating in the Qatif demonstrations; he’s also accused of obtaining and erasing the social media accounts of Al-Matroud and Oweishir before the authorities could obtain information. The sources noted that Al-Muzain was accused of contacting prominent opponents outside the country, participating in demonstrations, attending the murdered activists’ funerals, and using slogans garnering opposition against the Saudi regime. The Saudi Public Prosecutor demanded Al-Muzain be punished with the most severe penalties, which in his case could be up to 20 years in prison. The people of Qatif utilized slogans such as: “We will not forget the martyrs” (referring those murdered) and “Death (End) to Al Saud,” which rhetorically refers to the removal and end of the authoritarian Saudi regime actions through political action; such slogans were shouted and repeated during the demonstrations. The authorities used these slogans as a pretext for conviction. These slogans are utilized to demand for freedom of speech and an end to political opposition. As noted, such rights are guaranteed and protected by international laws and covenants. Human rights mentors confirmed to Miraat Aljazeera the charges that the public prosecution brought against the six detainees are not considered crimes by the standards of both domestic and international laws; traveling to Iran, Iraq, and Turkey, posting information online, documenting videos and photos of the peaceful protests, organizing the demonstrations, and managing social media accounts are all guaranteed rights that the activist were legally practicing; it was freedom of expression and political participation. Additionally, convicting people for belonging to a political party contradicts international laws that guarantee the right for formation of parties. The accusations and harsh convictions have increased. The Saudi regime manages to convict the innocent and sentence them to severe penalties, including death. Saudi Arabia’s violations against freedom of speech and basic political and civil rights are growing. Human rights organizations believe that the criminalization of the six detainees signals that the Saudi authorities are still utilizing brutal penalties without warrant. Their insistence of the death penalty, specifically by beheading, has increased despite growing international concerns. The Saudi regime vehemently pursues any activists they disapprove of and seeks to eliminate any reformist movement. Human rights watchers described the application of laws as a “trap for targeting.” Such laws may ideally open legal doors for growing movements; however, in reality, they also can be used to ensure founders and the participants of any movements are severely punished regardless of alleged and actual deeds; thus is the case of the six detainees.